Holi Festival in Nepal is celebrated from early morning and do not end until sundown. This colorful and most exciting, high-energy festival is celebrated all around in Nepal for 2 days. In the hilly area such as Kathmandu, Pokhara, it’s celebrated on the first and in Terai such as Chitwan, Bardia, Birjung celebrated on the second day. Locally it’s known as Fagu and celebrated on a full-moon day in Falgun Month (Lunar calendar) Mid February to Mid May. Holi festival welcome the spring season. There are many mythical stories behind the Holi Festival but it’s a victory of good over evil. Festival started from the Mahabharat, Indian famous epic. King Hiranyakashipu didn’t allow people to worship the God Vishnu but his (King) son Prahlad was a devotee of God Vishnu. Seeing his own son a devotee of Vishnu King tried to kill him in a different way but Vishnu was all the time to save the prince. Once the King ordered his sister Holika to burn his son on the full moon night when Holika and Prahlad sat on fire Holika was burned into ashes but Prahlad was unscathed. People saw Prahlad walking out from the fire without anything and they started cheering and it’s believed that from this time the Festival Holi started. People celebrate in different ways but mainly on this day people celebrate with colors and throwing colorful waters. Mostly on this day shops will be closed and the main streets will be full of colors and waters. 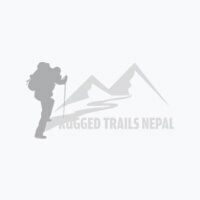 Where to celebrate Holi in Nepal? Well, depends where you are but if you are in Kathmandu visit Kathmandu Durbar Square. Take care of your belonging things if you are going into the crowd! Things to Know before joining Holi Festival! Don’t carry valuable things like your passports, wallet. (if you are going into the crowd). Make sure your camera is waterproof if not cover with plastic. You never know where and when you will be shocked by the water (balloons, buckets). Colors that might affect you and allergic problem people, Please don’t. Prepare yourself to Play Holi. Get white T-shirts because they will be colorful at the end and a memorable gift going back home. Make sure you don’t need your pants again!. Plan your holiday vacation in Nepal during the Holi Festival 2020, we arrange special Holi Photography Tour.